The health care inspection reports, which cover April 2018 to present, are available here. In the future, VA will post the reports annually. The review was conducted by the U.S. Digital Service, an elite group of software developers and designers employed by the White House to help federal agencies improve their technology. The USDS team said the VA should scrap the eligibility tool and start over. The VA needs authorization from Congress to cover the $5.6 million cost of completing work on the eligibility tool, the department said in a March 4 letter to a House appropriations subcommittee. The panel has not yet acted on the request. 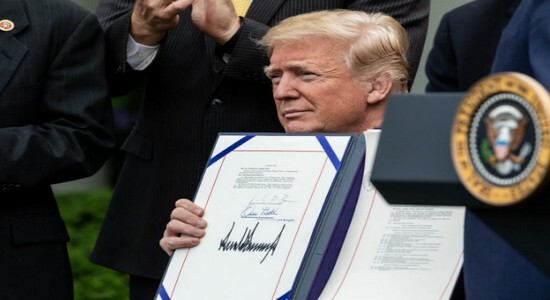 On Monday evening, shortly after this article was published House veterans affairs committee chairman Mark Takano called the findings by the USDS “incredibly alarming” and said his panel would hold a hearing to scrutinize the VA’s funding request. VA spokesman Curt Cashour declined to comment on the USDS review, saying it “remains a work in progress.” The USDS didn’t respond to requests for comment. The USDS report raised concerns that the eligibility tool was designed in a way that wouldn’t work for VA doctors. The report predicted that the tool would generate errors or run slowly or crash. These glitches would lengthen each appointment by five to 10 minutes, the USDS team estimated, which equates to being able to treat 75,000 fewer veterans every day systemwide. The USDS said the contractor building the software — a Virginia-based company called AbleVets — is “motivated and capable”; the problem, according to the report, is the task that the VA assigned was rushed and poorly conceived. The tool has to pull data from six separate VA systems, but those connections won’t be set up in time, the USDS found. There also won’t be enough time to test the tool and address any errors, according to the report. A bug in the Mission Act rollout would add to a string of high-profile IT failures for the VA. Last year, the VA’s software system delayed and miscalculated stipends for student veterans under the GI Bill, leading to veterans getting evicted and having their credit scores ruined. The agency’s effort to overhaul its electronic health records has suffered from leadership turmoil and rising costs. The VA blamed its technology infrastructure for delaying the expansion of benefits for family members who take care of injured veterans. 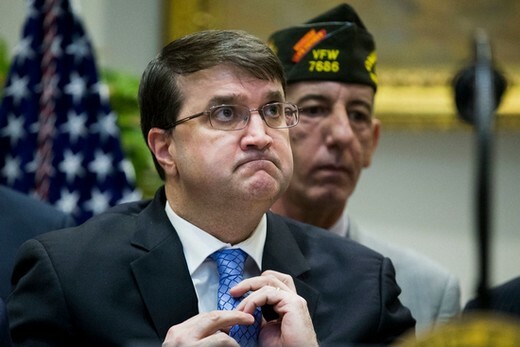 “The Department of Veterans Affairs, as these committees have noted on more than one occasion, has an IT problem,” VA Secretary Robert Wilkie acknowledged at a congressional hearing in December. The VA lacked a permanent IT chief until January; for most of last year, the IT division was led by a Trump campaign alumnus who closely coordinated with three men at Mar-a-Lago whom the president gave sweeping influence over the VA.
Wilkie has said the Mission Act will “revolutionize VA health care as we know it.” But the USDS review said the agency is making only “piecemeal updates” to existing policies and procedures, and has conducted little research to understand how veterans, doctors and staff actually use private care. The report recommended starting over on a simpler tool that wouldn’t be a drain on doctors’ time because it could be used by nurses or clerks, or even by veterans themselves. The USDS said the simpler tool could be done in time for the private care program’s launch in June. AbleVets’ CEO, Wyatt Smith, declined to comment. 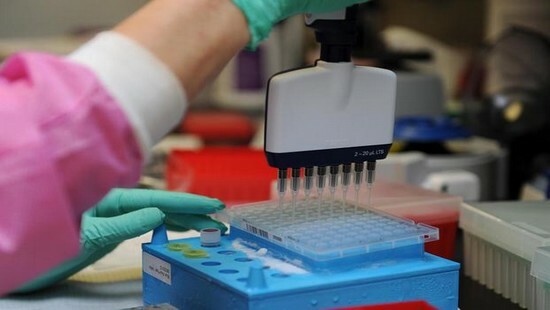 WASHINGTON — Today the U.S. Department of Veterans Affairs (VA) announced that, as part of an innovative partnership, VA and Sanford Health, one of the nation’s largest nonprofit health care systems, will soon provide free genetic testing to some Veterans cared for by VA. The VA PHarmacogenomics Action for cancer SuRvivorship (PHASeR) testing program will begin a pilot program this year at the Durham VA Health Care System that will enroll all cancer survivors who receive treatment at the facility. The program eventually will expand to enrolling some 250,000 U.S. Veterans at 125 sites. The test results will help with clinical decision making for all types of prescribed medications, including cardiovascular and mental health diseases and pain management. Veterans will be able to access the test at their local VA facilities, and Sanford Health will process the tests at its South Dakota-based Imagenetics facility. Sanford Imagenetics began in 2014, and more than 90 percent of patients who have been tested have been found to carry a genetic change that could affect medication selection or dosing. Test results are shared with physicians through the electronic medical record to ensure efficiency and accuracy in choosing treatments. For more information on the PHASeR testing program resources for Veterans visit here. On Feb. 6,VA sponsored the Veterans Experience Action Center in the Multiplex at Cramton Bowl Multiplex in Montgomery, Alabama. VA staff members were on hand to process and provide updates on claims and appeals. 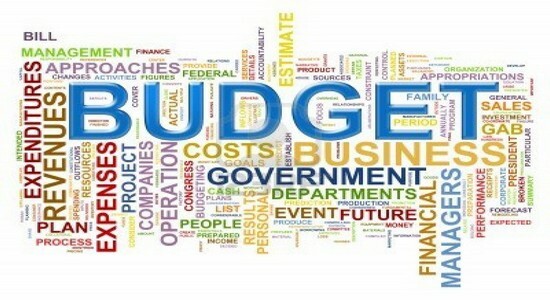 State, local and other federal agencies collaborated to provide information on housing, insurance, health care, employment, bereavement and mental health counseling. And a VA mobile Vet center was also on standby for those Veterans making a transition back into civilian life. Thousands of Veterans and their family members turned out for the event. Many found the center useful, such as Veteran John Campbell, who drove from South Carolina. “I learned more in 45 minutes than the 5 years my paperwork has been processing,” he said. MCampbell is not alone. Many Veterans complain about the lag in wait time which can be attributed to backlogs and miscommunication. In some cases, Veterans simply do not understand the filing protocols and benefits available to them, according to Gerald Ruffin, a volunteer peer support specialist. That’s why VA is hosting these events across the country. More than 800 Veterans attended, also bringing their family members and friends. 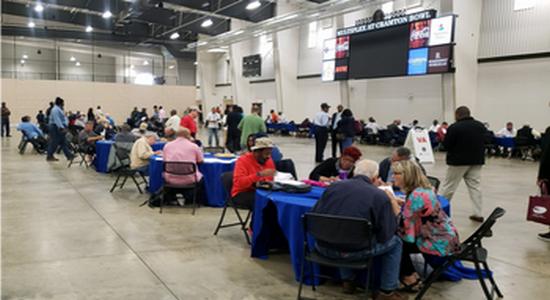 Nearly half of the Veterans received services of some kind, 107 claims and 15 appeals were processed, 38 enrolled in VA health care, 120 received information from NCA, 450 took home a VA Welcome Kit, and 44 received their claims decision and rating on-the-spot. $266,826 in retroactive compensation was granted during the event. John Davis, a U.S. Army Veteran, had been waiting four years for a decision on his claim. After speaking with VBA representatives, he was able to expedite his paperwork. As this new initiative expands to other cities across the country, the Veterans Experience Action Center will promote more awareness and provide holistic care for our heroes and their families, caregivers, and survivors. See news clips of the event here and here. The VA PHarmacogenomics Action for cancer SuRvivorship (PHASeR) testing program will soon provide free genetic testing to some Veterans cared for by VA. 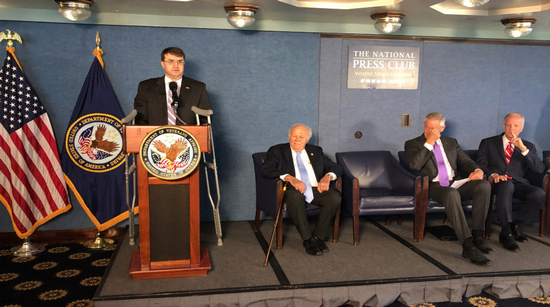 The innovative partnership between VA and Sanford Health, one of the nation’s largest nonprofit health care systems, was unveiled today by VA Secretary Robert Wilkie during a press conference at the National Press Club in Washington, D.C. The program will begin as a pilot this year at the Durham VA Health Care System where all cancer survivors who receive treatment at the facility will be enrolled. The program eventually will expand to enrolling some 250,000 Veterans at 125 sites. When Ileana Howard (pictured above) was a trainee at the University of Washington, she didn’t know that caring for Veterans would become her life’s work. When she was assigned to the VA Puget Sound Health Care System in the winter of 2005, it turned out to be a moment of clarity for her. “When your work is providing health care for Veterans, you don’t just have a job, you’ve been entrusted with a very important mission,” said Howard, the outpatient medical director for Rehabilitation Care Services (RCS) at VA Puget Sound and a clinical associate professor of rehabilitation medicine at the University of Washington School of Medicine. “It’s incredible to be surrounded by coworkers who feel the same way,” said Howard. As a young girl, Howard remembers being drawn to science. But she enjoyed working with people more than test tubes and found herself fascinated by the rehabilitative process once she entered medical school. The focus of RCS is helping Veterans recover from neurological and musculoskeletal injuries to achieve their highest level of function and quality of life. It’s an area of care that presents challenges, but also an inspiration. “I am inspired by my Veterans not only for the heroism of their past accomplishments but for the dignity, grace, and self-sacrifice with which they often meet some of life’s most challenging health conditions,” said Howard. Some of Howard’s most lasting contributions have come from working with Amyotrophic Lateral Sclerosis (ALS) patients. VA Puget Sound has been steadily growing its ALS treatment capability since 2013 when it partnered with the ALS Association Evergreen Chapter and Paralyzed Veterans of America to better serve Veterans with ALS and their families. 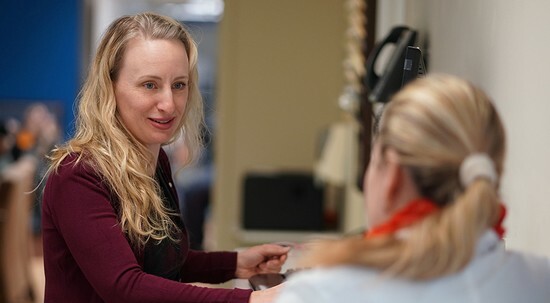 Howard spearheaded this effort, and the next year, her team opened a clinic at VA Puget Sound’s American Lake campus in addition to the existing clinic in Seattle. In 2018, she was awarded the Paralyzed Veterans of America Clinical Excellence Award for her work with the ALS program. Her innovations are also spreading across the nation. Clinics affiliated with Yale University, Duke University, Cleveland VA Medical Center and Atlanta VA Health Care System are now equipped with tools Howard’s team developed to enhance the quality of ALS patient care in the Pacific Northwest. Howard has shepherded the ALS rehabilitative care team through a series of certifications to demonstrate to her patients that VA care is as good or better than that available in the community. These acknowledgments have also better positioned the team as experts in service to rehabilitation teams caring for Veterans across the country. Howard’s career has come full circle—now she trains the next generation of rehabilitation physicians throughout VA Puget Sound. Several of her students are already staff rehabilitation physicians at VA hospitals around the nation. She thinks it’s important for students to have the experience of serving, regardless of their ultimate career path. A native of Federal Way, Wash., Howard is especially passionate about ensuring access to care for Veterans in the South Sound region. She attended school in Tacoma and is very grateful for the medical care her grandfather, a U.S. Army Veteran, received at the end of his life through the VA.
Telehealth is one of the tools Howard uses to meet the health care needs of Veterans like her grandfather. “It’s an incredible tool that allows us to provide the highest level of specialty care for our most disabled Veterans regardless of where they are located,” she said. “I’ve provided ‘house calls’ to Veterans in Eastern Montana as well as all the way to Alaska. “Leaving their home is a huge challenge for these patients, so it’s a big relief when we can bring our services to them, even virtually,” she added. Working alongside her team, Howard is a natural optimist who loves her work and appreciates the opportunity to serve Veterans. Today the U.S. Department of Veterans Affairs (VA) announced that, as part of an innovative partnership, VA and Sanford Health, one of the nation’s largest nonprofit health care systems, will soon provide free genetic testing to some Veterans cared for by VA.
For more information on the PHASeR testing program resources for Veterans visit www.imagenetics.sanfordhealth.org/Veterans-genetic-testing/.